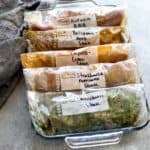 Are you new to meal prepping? Or looking for a better way to prep? 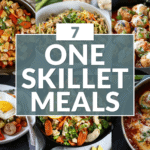 We’ve got just what you’re looking for to help you get meals on the table faster without spending all day in the kitchen. 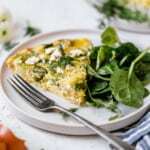 Whether you like to spend a few hours in the kitchen on the weekend cooking up delicious meals that can be reheated and enjoyed at a moments notice or you like to put a hot, fresh meal on the table but without all the fuss then our Dinners Made Simple guide is just what you need. 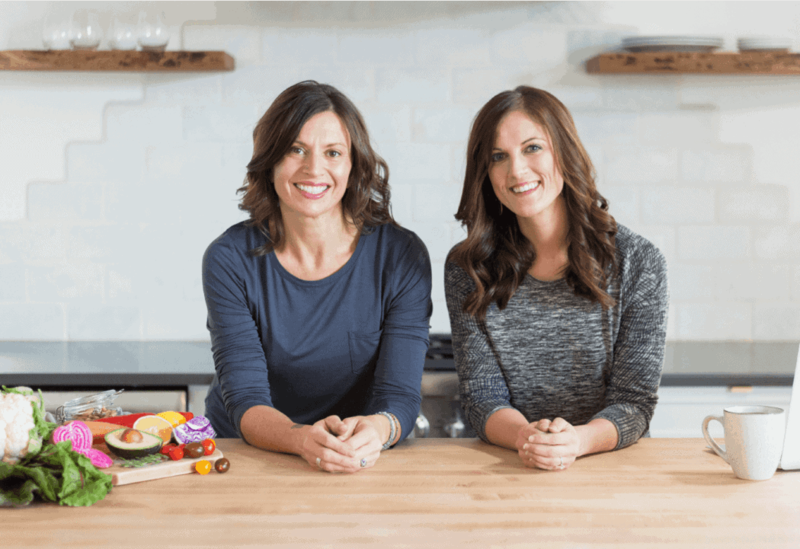 We’re all about rolling with the punches and now you are too – especially when life is busy and unpredictable from week to week – which is why we created an amazing new resource for healthy, home cooks like yourself who want ease and convenience without compromising your health or your budget. 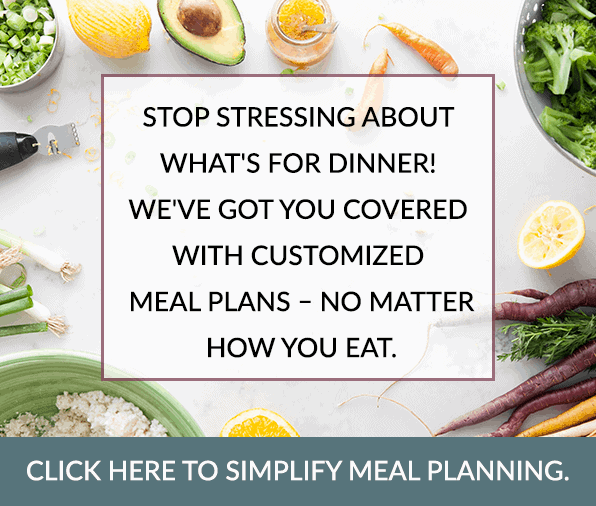 We like to think of it as ‘flexible’ meal planning that can meet you where you’re at right now and it’s called Dinners Made Simple. 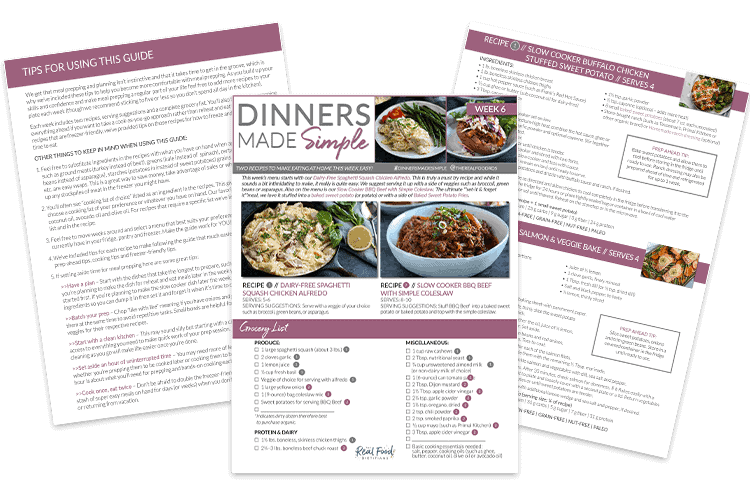 With our Dinners Made Simple guide we make it easy for you to cook two healthy meals at home each week. With done-for-you grocery lists, prep ahead tips and freezer-friendly tips you can confidently put dinner on the table twice a week in nearly record time. 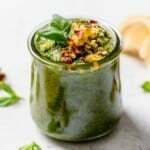 Whether you choose to cook everything on your meal prep day or just wash, chop, prep, and mix up the ingredients so that everything is ready to cook is entirely up to you, your mood and what you have time for each week. 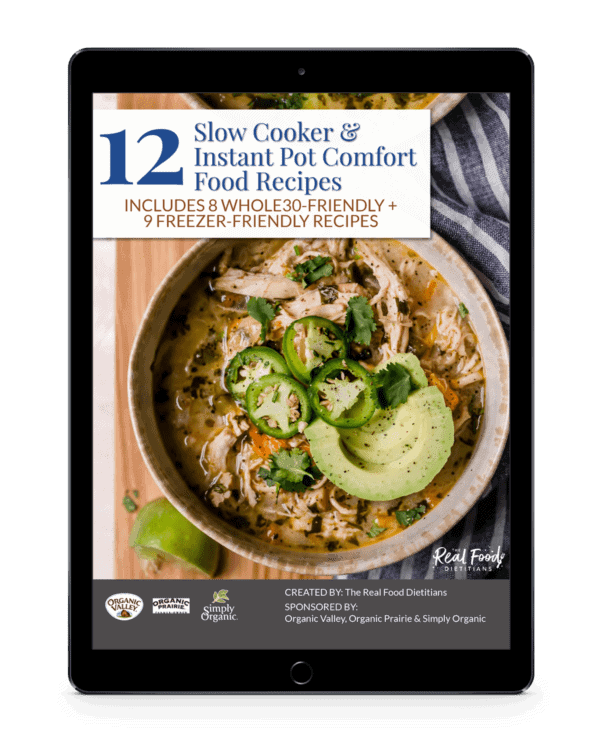 Twelve weeks of healthy, delicious, home-cooked meals at least twice a week has never been easier. 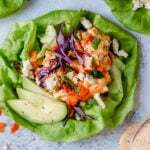 We’ve included just two recipes each week to keep things manageable but if you need more meals then feel free to mix and match weeks. We make it easy no matter how you like to prep and you won’t find any fancy ingredients here. 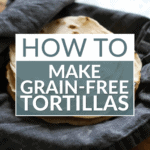 We’ve kept the recipes simple to cut down on trips to the store and help you make the most of your time and budget. That’s right, for a fraction of what you’ll spend on takeout or delivery because you failed to plan and prep, you can add more ease and deliciousness to your life for the next 3 months. 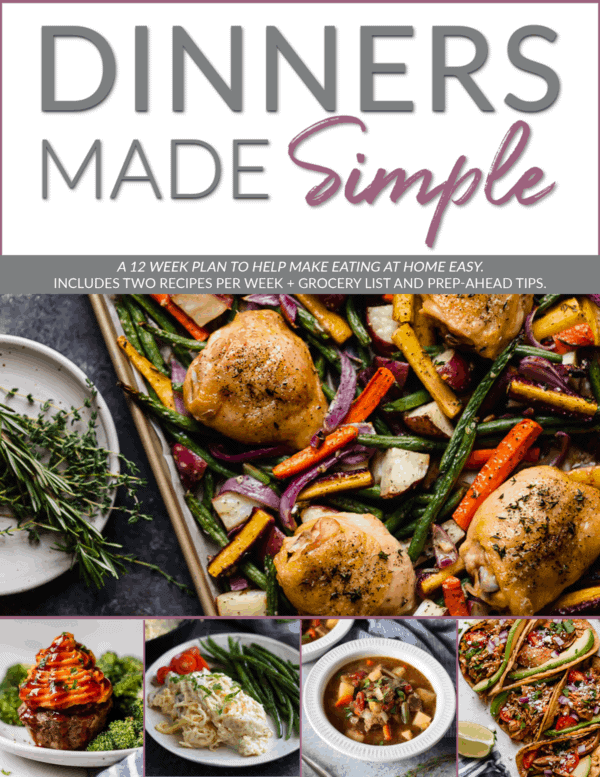 Note: This Dinners Made Simple guide includes Weeks 1-6 of recipes from our Dinners Made Simple email series PLUS 6 additional weeks and bonus tips for every recipe.